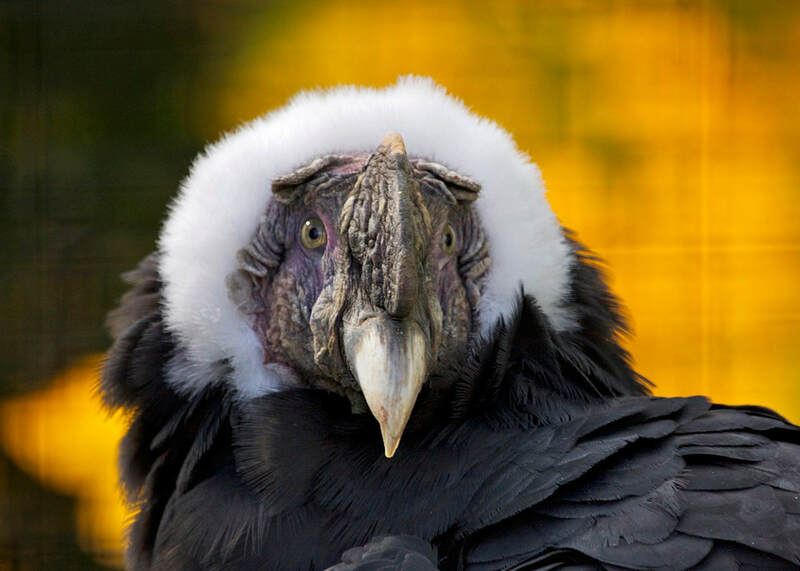 Andean Condors are huge birds. They are among the largest birds in the world capable of flight. Because they are large and heavy, they live at high altitudes where the air currents can help them stay aloft. DESCRIPTION: Andean Condors have a 10-foot wingspan. They can weigh over 30 pounds. Their bodies are four-feet long. Their feathers are mostly black but males have a white collar around their necks and some white markings on their wings. They have bald heads just like their California Condor relatives. Males have yellow eyes while the females have red eyes. Males are also larger than females and they have a comb on top of their heads. 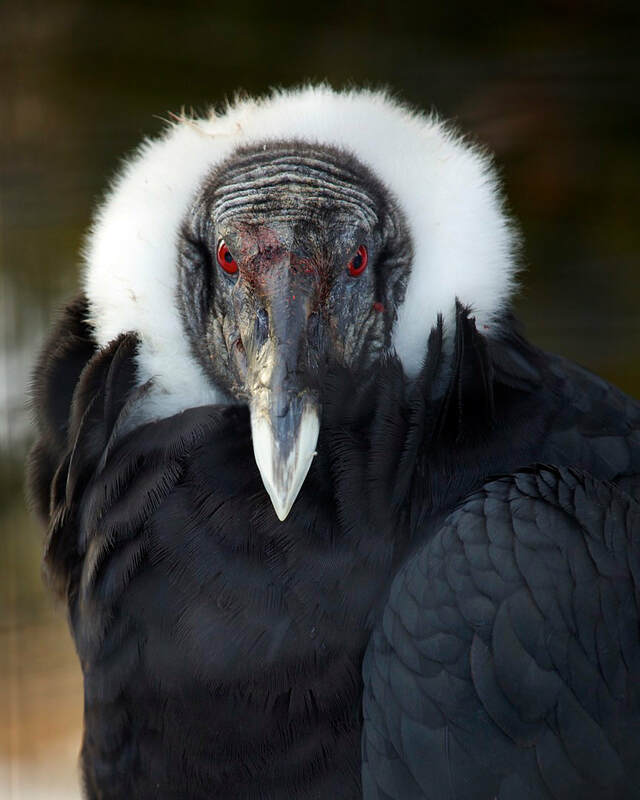 Condors are vultures so they are carrion birds. These scavengers feed on the carcasses of wild and domestic animals and preform a necessary function in the eco-system of clean up crew. They do not have sharp predator claws but they will raid birds’ nests for eggs or hatchlings. RANGE: Western coast of South America in the Andes mountain range. HABITAT: They live in mountainous regions particularly near coastlines. FAMILY LIFE: A mating pair has only one chick every other year. Both parents must care for the hatchling for a full year after hatching. At night they tend to gather together in large numbers to sleep in rocky outcrops and inaccessible cliffs. LIFE SPAN: The average life span is about 50 years in the wild. They have lived up to 75 years in human care.